Producer: Six Hundred Films, 2005. There are nearly 1400 breweries in the United States today, yet the makers of three brands control eighty percent of the American beer market. These large corporations use money and muscle to dominate the industry through advertising and distribution, leaving little room in the bars or on the shelves for the smaller local brewers. 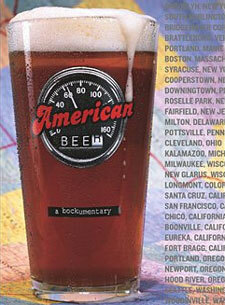 In June of 2002, director Paul Kermizian and his crew of four left New York City by minivan and set out across the United States to drink local craft beer, visiting 38 breweries in 40 days. The film follows Paul and his crew as they tour breweries and brewpubs, taste beer, get drunk, get lost, get speeding tickets and defy the limits of the human body by drinking beer for 40 straight days while traveling over 12,000 miles.